Becoming the CEO is not just good for the ego, it is financially rewarding. 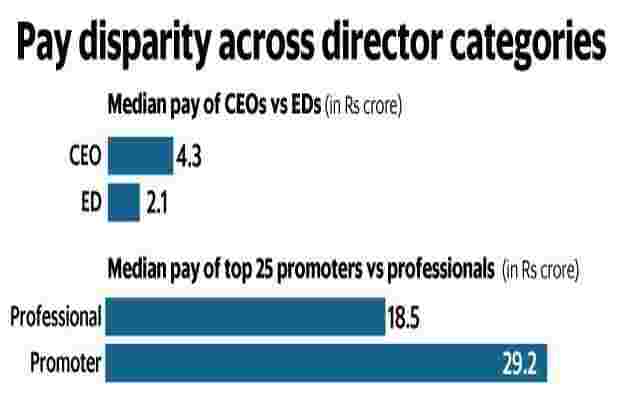 According to IiAS data, chief executive officers in the top 500 companies (excluding PSUs) were paid more than twice as much as the other executive directors on the board. And it helps if you are from the promoter family: promoter directors are paid ~1.6 times as much as professional directors. While we have not quite seen the winner-takes-all that Elon Musk is proposing—$50 billion as salary over 10 years—for the most, there is acceptance that running a company is the collective responsibility of the entire executive team, and not just of any one individual. Looking at gender, men do not just outnumber women directors by a ratio of more than 11:1, their salaries, on average, are also higher. There are 24 male CEOs who are paid more than the highest paid woman CEO. In the “100 million club", there are only eight women, out of a total of 123 directors. This gender pay gap is unjustifiable and needs corrective action in the form of neutral pay structures. An equitable and inclusive culture is at the heart of any successful organization. Boards, therefore, need to proactively address these discriminatory pay practices and ensure fairness. Failure to do so might ignite employee resentment and harm productivity in the long run. 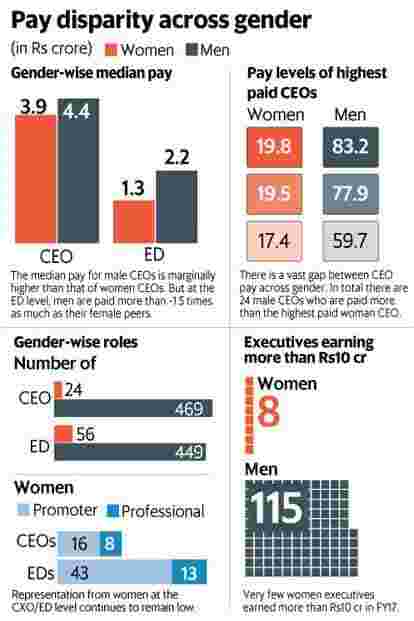 This is the second of a multi-part series on CEO pay put together by IiAS exclusively for Mint. To read the first part, click here.